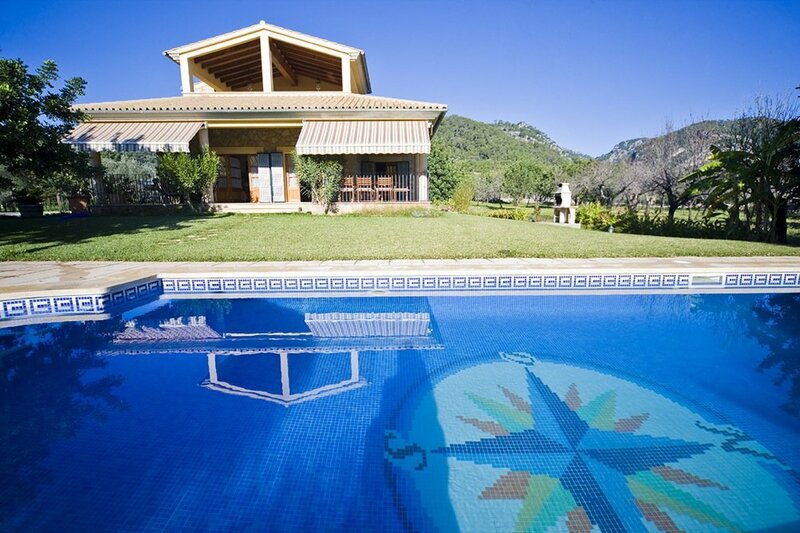 Escorca Villa is a beautifully renovated Mallorcan house situated on the outskirts of the village of Selva. During the renovation they owners have tried to maintain many of the original features in combination with a new kitchen, new bathrooms, heating and air conditioning. And it worked really well! The view over the valley is fantastic, you have the feeling of country living but with the convenience that the bakery and restaurants are situated within a few minutes by foot. The house consists of 3 floors. The entrance is on the first floor together with the living room, TV room, kitchen, 3 bedrooms, 2 bathrooms and a spacious terrace with dining table. On the first floor there is a bedroom with bathroom en suite. On the ground floor, next to the swimming pool, there is a lounge with pool table and a home trainer. 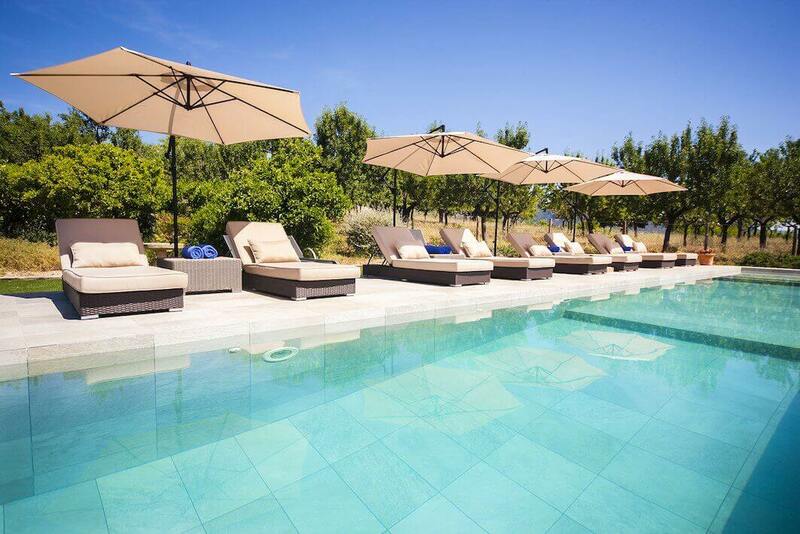 The large swimming pool is surrounded by lawn area and a terrace with a dining table and BBQ.